Food tastes better when shared with someone special. When food meets creativity, magic is created. 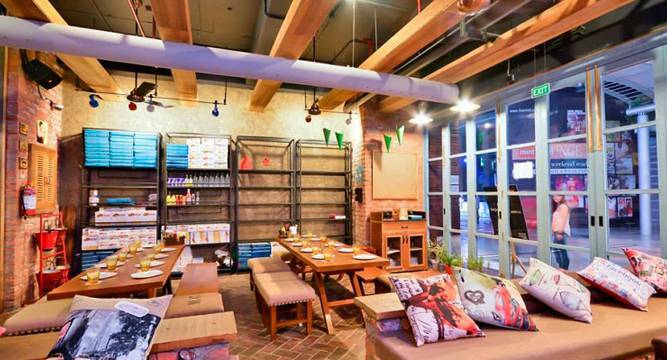 From restaurants to cafes, there are a zillion of good places that one can eat at. Here we have enlisted five of the best cafés in and around Delhi to make you feel good with good food and you should add them to your bucket list right away. It is located in Saket, New Delhi. This is known for its tranquillity and good food. With Victorian-themed indoors, its aura and beautiful lights make it a perfect place for a dream date. This café is set in stone, brick giving it a tough biker look all around. Life-sized posters of motorbikes and huge screen are what attract the crowd. They offer a wide variety of food from omelettes, sandwiches, parathas, to soups, salads, kebabs, pizzas and grills. This café is based on a unique concept of ‘pay what you like.’ This café will not even ask you for any money for cookies/tea/coffee that you had there, you can pay what you wish to. Its not just a regular bar, it houses a library also for those who love to read and have coffee or tea at the same time. They serve wide variety of teas. If you are looking for a café hangout type place where you can have tea/coffee this place is certainly the one you should visit. Not much expensive, the place offers tasty food and drinks. It is located in Khirkee Extension. Good news for train travellers; IRCTC new scheme is thumbs up!